After selling well over 200 controllers I am working toward having these manufactured fully in china and packaged properly. This will take some time to sort through companies, in the mean time we are putting the store on hiatus eventually closing the etsy store due to fees. If I do manage to complete this task I will most likely find another store (or another way) of selling these controllers. Maybe amazon? Who know at this point. I can still have PCBs made if there is still enough interest. 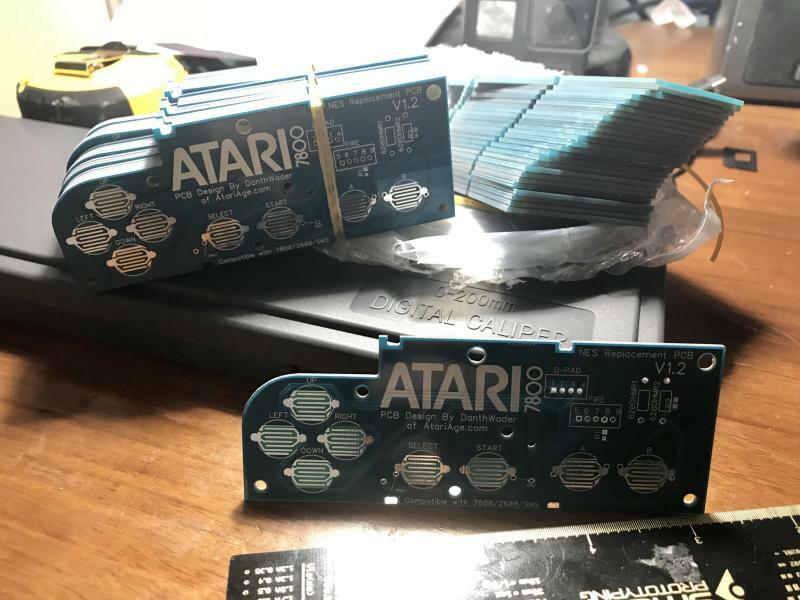 I'm also working on upgrading my printer that currently has 1200 hours on it we will sell 3D printed atari carts and label on AA. Just DM me and I can give you a quote! Thanks again for all of your interest!! 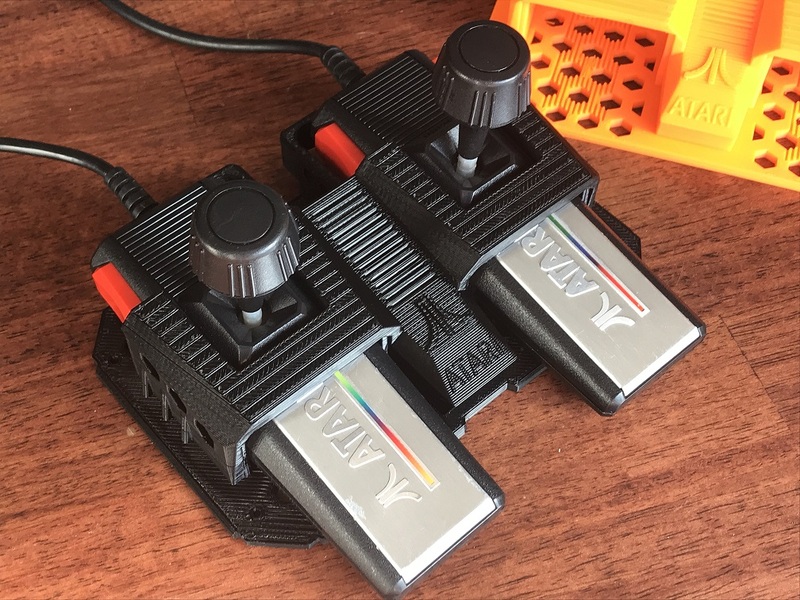 The Atari 7800/2600 Controllers KITS ARE OUT OF STOCK! Fully assembled controllers OUT OF STOCK! PCBs & CUSTOM 3D PRINTED LABELS ARE OUT OF STOCK!! Tired of the Pain-Lines or the bulky standard CX-40 joystick? Oh yeah, That’s right you are. Order now! Call today! Supplies are limited… no seriously, they are. This is the All-New V1.2 Atari 7800/2600/SMS NES style controller! Excellent! Two-Button Atari 7800 Action! Wow! 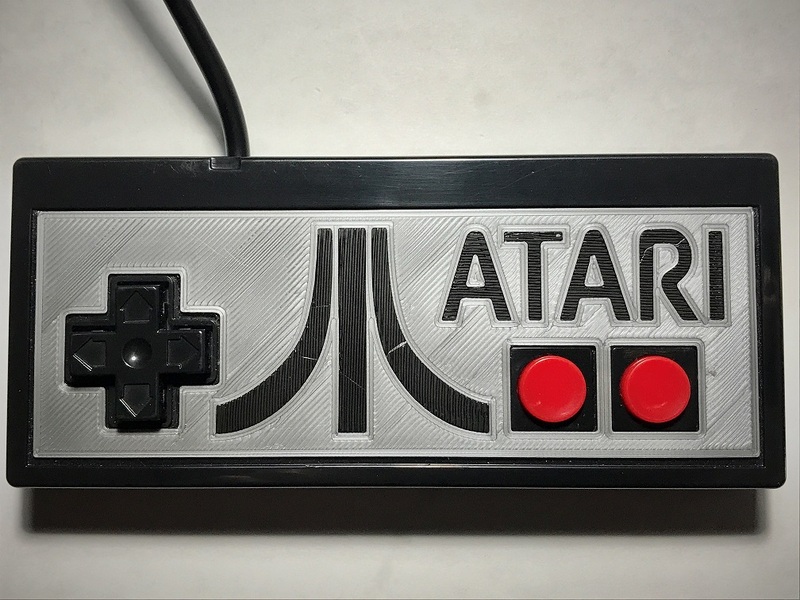 Both buttons act as fire button with Atari 2600 games! Unbelievable! 3D Printed face label is a 2-Color print. Standard V1.2 Atari 7800/2600/SMS Controller is in a Silver/Black configuration. 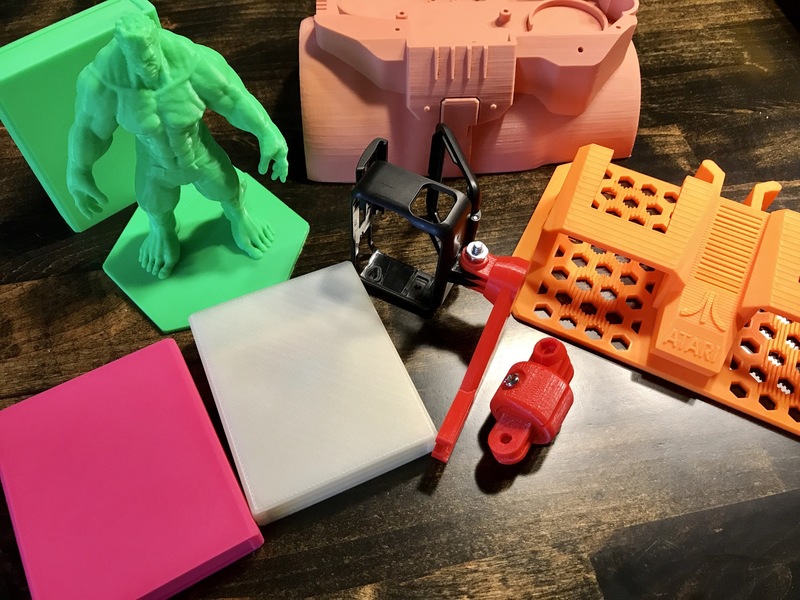 Although color can be customized for a fee, it is limited to the stock of filament colors I have. Which changes weekly. Keep in mind that the controller itself is black. It’s just a matter of swapping a wire or two during assembly of the kit. Also, the 7800 controller coupling will be in the store as well. Edited by DanthWader, Tue Aug 7, 2018 8:45 PM. I have one of the original ones from the old thread and think it is Great! Link isnt working for me. How much for a fully assembled one? Super cool. My problem with 3D printed stuff is the texture of them. I hope we can get more control over that soon. 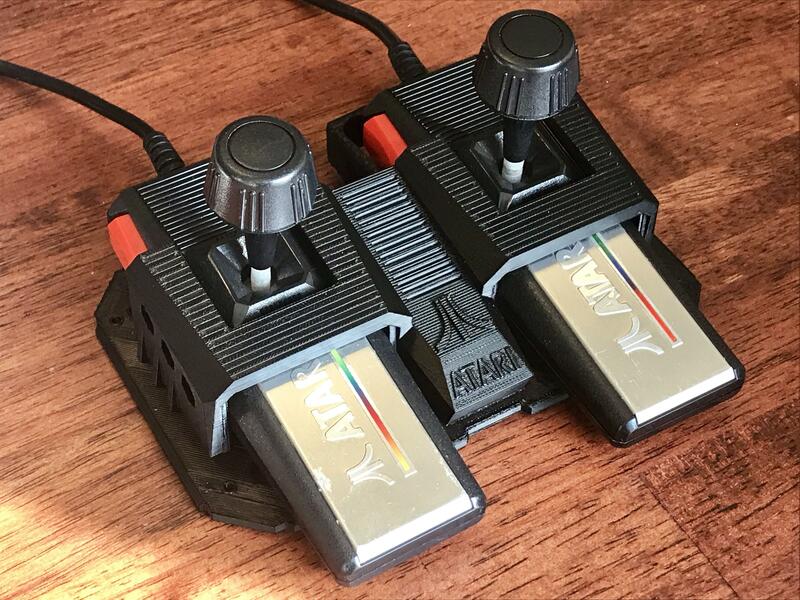 I'd be interested in a joystick holder for two original 2600 CX-40 joysticks. I'm tempted by that 7800 stick holder. BAM! All done. Looking forward to these. I'll provide some feedback when I get these. Yeah, I feel the same way. 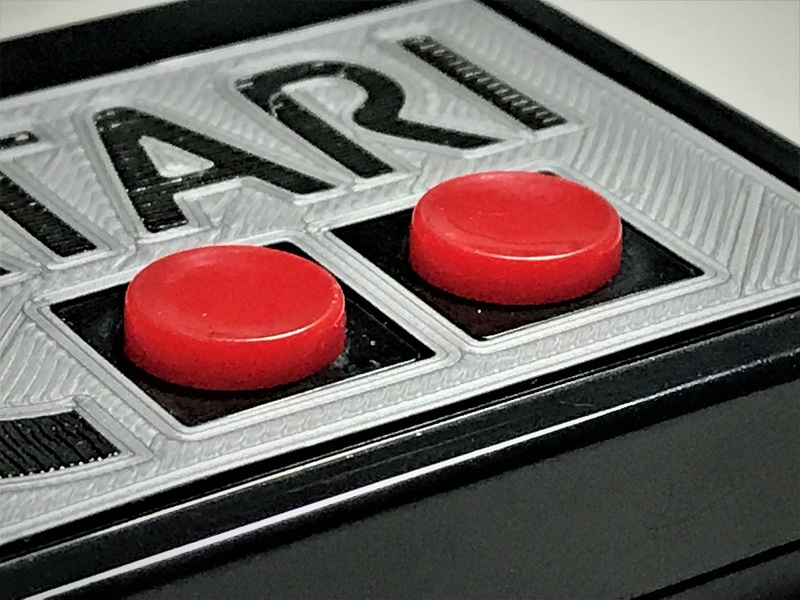 That's the main reason why we just went with the standard NES plastic injection molded shells and just the 3D printed label. The label is printed face down on a smoooooth surface so it feels nice and smoooooth! I just like saying smooooth. How much will the full kits be? flipping awesome. just ordered an nes-style controller. 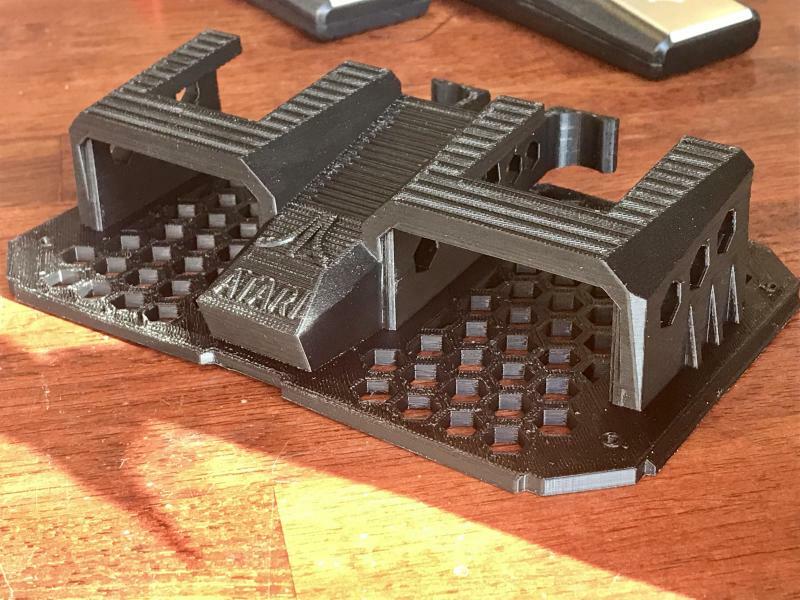 Can you put some color samples up on the site for the Robotron coupler? I understand you can't make one of each just to show, just a sample of what the colors look like would be great. I want one, but,...glass red, glow in the dark, hulk green...I want to see my options. Can just put your Photoshop 'fill' tool to work for such a thing. Personally, I think the black sample he has up looks sweet with the all-but-otherwise useless black CX24's. These controllers look awesome. Ordered! Now I will no longer be tempted by those over priced Euro pads. I will, I can post some things I've printed out of each color. Let me get some photos... give me a few hours or maybe even tomorrow. I'm already working on 20 more controllers! Heres a little taste of the colors.. I gots to get me one of these new fangeled 3D printers and soon! I just ordered one, looks like a winner. Nice that it is 7800 compatible as I only have the proline sticks. Should be fun! I thought these were fully assembled controllers, but some comments here mention kits that need assembly. Which are these? They are the kits are still "coming soon" and looks like the kit offering won't happen now until the NEXT batch as these are almost already sold-out. Ordered a couple. Time to go stand by the mailbox and wait. Ordered 2, as well. One for me and one for a friend of mine. Wow you guys! This is amazing, I'm 2-3 controllers away from being SOLD OUT! Thank you so much!! Your controllers went in the mail today. Also for everyone who ordered the controller couplings they will be in the mail tomorrow! I basically have unlimited of these, so they won't sell out. I am already working on the controller batch #3, but china sort of closes down during this time of year for holiday. It will be the beginning of March before the parts come in.